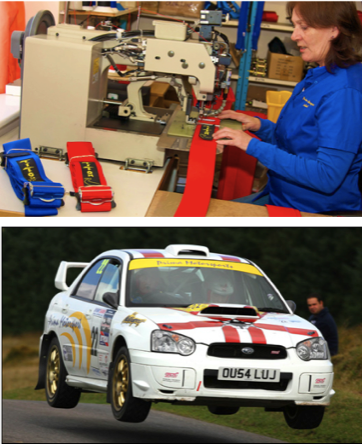 Prima Motorsport - UK Manufacturer of FIA approved harnesses and Motorsport gear. Prima Motorsport are a UK Manufacturer of FIA approved harnesses. These harnesses are now VOSA approved and can be used in your vehicle and are approved for the IVA (Individual Vehicle Approval – please see our latest news section for full details). Branded TITON, they are produced in Poole, Dorset, using UK sourced materials. As well as Harnesses we also supply Stilo Helmets, Compomotive Wheels, Dunlop Tyres as well as other motorsport items. Prima Motorsport has been formed by Mark Worley & David Gamblin. They are passionate about motorsport and bring with them in excess of 40 years of personal experience and knowledge in all levels of motorsport, from International to Club level and every aspect that it encompasses. They have both been personally involved in the design and testing of the new TITON harnesses. The company aims to develop a supply network of varying products in addition to the core business over the coming months providing even more value to the Clubman. We are the sole UK Manufacturer of our own brand TITON FIA Race Harnesses. We run a modern well equipped factory with hi tech computerised sewing machines and hot and cold cutting facilities. We aim to supply at a very competitive price. Being the manufacturer as well as the distributor of our own brand harnesses, we can cut out the middleman, and therefore pass on any cost savings direct to you, our customers. You, the clubman can only benefit.